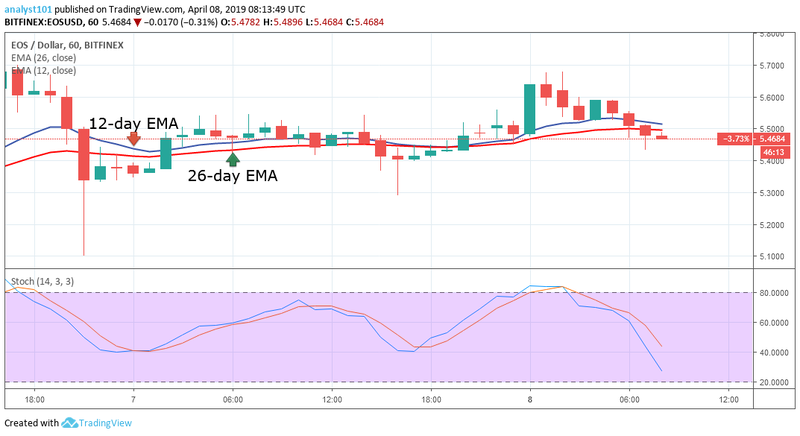 EOS (CURRENCY: EOS) traded up 0.5% against the U.S. dollar during the one day period ending at 3:00 AM ET on January 24th. One EOS coin can currently be bought for about $5.55 at the time of writing or 0.00106866 BTC on cryptocurrency exchanges including IDAX, OEX, Coinrail, and ChaoEX. 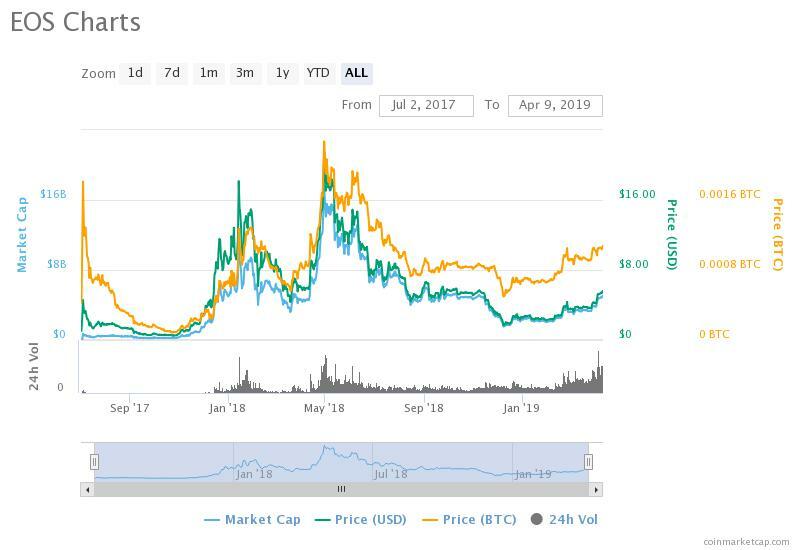 EOS has a market cap of $5.06 billion and approximately $794.42 million worth of EOS was traded on exchanges in the last day. In the last seven days, EOS has traded 4.5% higher against the U.S. dollar.